Welcome to DAY FOUR of my seventh annual National Picture Book Writing Week (“NAPIBOWRIWEE”) 2015! Speaking of scaring you, don’t be scared by this rather lengthy blog! We not only have more fabulous advice from our week-long guest-editor-in-residence, AMY CHERRIX, but we have extra writing advice from published picture book author/illustrator ERIN EITTER KONO! MY DAY THREE EXPERIENCE: Well, I got Book 3 done! I forced myself to do another Nite Owl Writing Session because Sunday was busier than I had anticipated. I was invited by my friend, the wonderful published picture book author & illustrator ERIN EITTER KONO to see a music recital. As a violinist myself, I love going to classical music recitals. It inspires me to keep practicing! 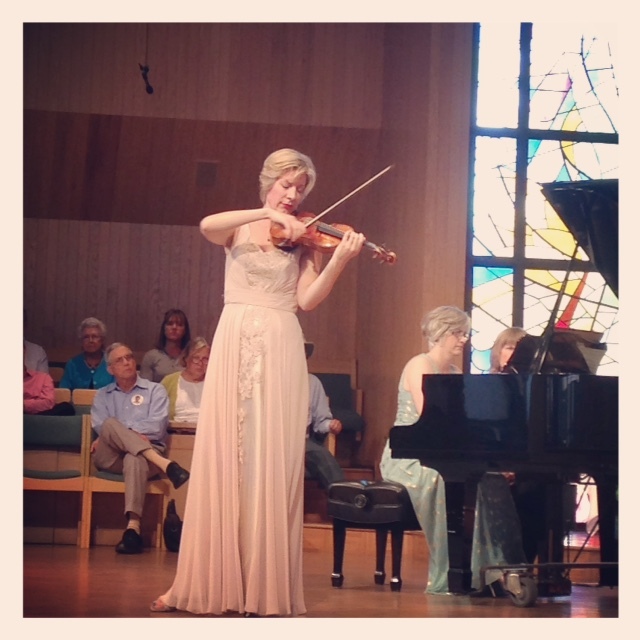 We saw the amazing concert violinist Elizabeth Pitcairn perform some of my favorite pieces – Vitali’s “Chaconne in g moll‘ and Beethoven’s Sonata No. 9 (the “Kreutzer”). Elizabeth plays on the famous 1720 Stradivarius known as the “Red Mendelssohn” which inspired the movie The Red Violin. It was a beautiful performance! 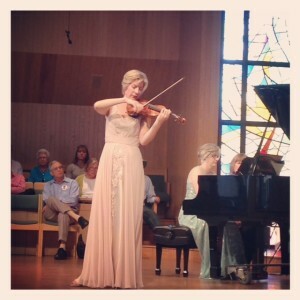 Violinist Elizabeth Pitcairn performs Vitali and Beethoven at a recital in Rolling Hills, CA. What does all this music have to do with NAPIBOWRIWEE? Well, it inspired me to stay up late and work on a violin-inspired picture book poem! Again, like all first drafts, it was very rough but I enjoyed writing it. I can’t wait to go back and revise this one. And… drum roll… as a special surprise… I have an extra prize for this year’s contest! This year’s contest includes souvenirs from our NAPIBOWRIWEE STORE as well as signed books from yours truly. But I also have a bonus prize… a signed copy of ERIN EITTER KONO’s latest book, CATERINA AND THE BEST BEACH DAY, coming out from Dial Books this May 19, 2015! 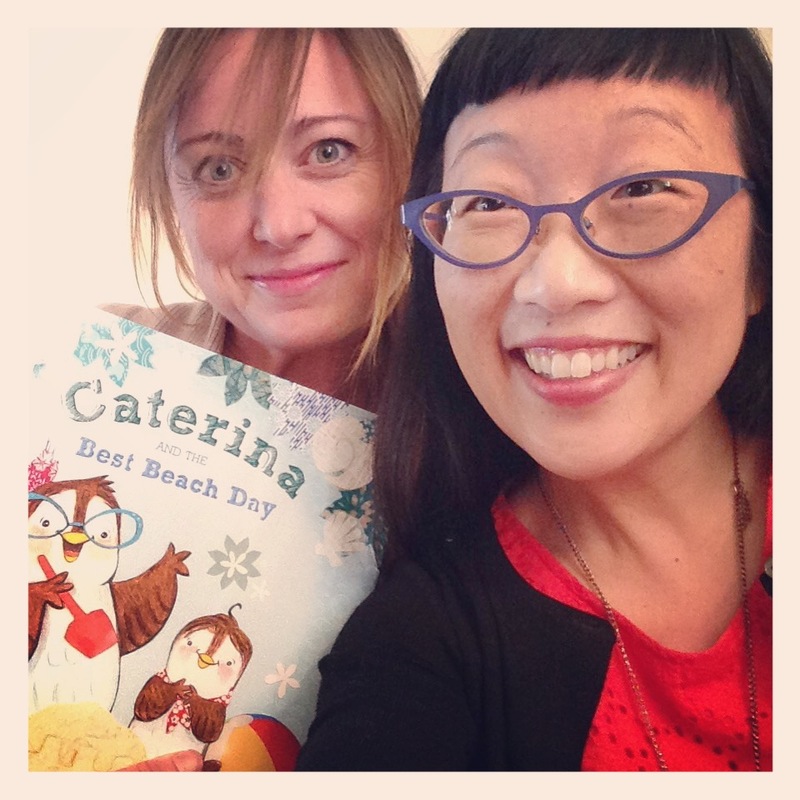 Erin Eitter Kono and I pose in a self-indulgent selfie with her latest book, CATERINA AND THE BEST BEACH DAY, coming out May 19, 2015 from Dial Books! Erin gracious donated a copy that she signed personally for a future NAPIBOWRIWEE winner. Please post your progress for Day 4 in today’s comments! QUESTION: What makes for an effective picture book plot? What types of characters work for you in picture book? My story is working. 🙂 You’ll notice that you cannot have a cool and exciting and original storyline if your character is not equally cool and exciting and original. Because the character’s CHOICES and EMOTIONAL REACTIONS and DESIRES all take him/her on their adventure. Well, time to leave the Blogging Batcave and head back into the Writing Batcave. Remember to follow me on Twitter @paulayoo for updates. 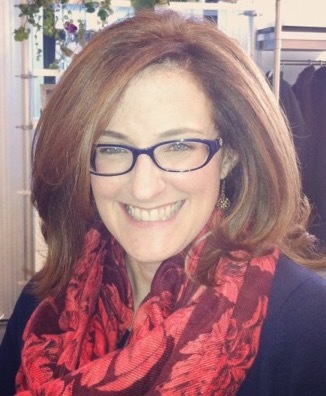 I will post tomorrow’s Day 5 Blog on May 5, 2015 at 6 AM PST/9 AM EST here with thoughts from our guest AMY CHERRIX about her OWN experience going from book editor to book author with her upcoming non-fiction book, LANDFALL: THE HURRICANE SCIENTISTS, as part of the award-winning Scientists in the Field series, coming out this Spring 2017 from Houghton Mifflin. Thanks for the reminder to hold the reins on descriptions, and leave them for the illustrator. I’m about to pick yet another idea from my PiBoIdMo list and get writing! Oh well — I got to fiddle with the idea that inspired it. And NOW I have to move on! Paula, thanks for the glimpses into your world and writing process. To have the opportunity to drop everything and listen a moving recital is amazing. Plus giving us Illustrator Erin’s advice and a sneak peek of her new PB. As Amy shared, I am trying to make stronger emotional connections between my characters and readers. It’s tough. This morning I found myself drawn back into the voice of my MC in PB draft #3. I’m clearly more invested in that story. We’ll try to focus on PB#4 this afternoon. Thanks for your kind words. I think sometimes good writing happens when you STOP writing and live life a little. It’s a balance. Good luck with #4 today! I wrote my second PB draft today, but I certainly need to strengthen it by showing, not telling, my character happy versus sad. #4 is done – I work on Sundays so Monday is catch up, grocery shop and write! (And nap!) Today I wrote Just Bugs about Lady Bug, Spider and Butterfly who are judged in a Best Bug contest…by a willing Frog. I had a busy weekend, but I’m back at it today and I’m almost done with draft #2. I appreciate Erin’s advice to make sure the words “move the story along or convey emotion on a different layer than the illustrations do.” I need to work on that! I’ve reached brain burnout on draft four. I’ve written up to the climax, but I can’t figure out how to resolve the story. I think I’ll come back to it later and try again. I’m late leaving replies because Monday was so busy! Did you resolve it? OMG! Today was so hard! I couldn’t develop the idea I thought I had; struggled trying to come up with something else then just wrote. It’s a weird little story but could shape up into something with revision. Lacks a clear conflict at the moment but there’s room for it. I just had to finish– it’s after 9pm here! I almost gave up but I’m glad I didn’t! I’m late leaving replies because Monday was so busy! I’m glad you didn’t give up! Good that you figured out it needs a more clear conflict. Something to work on for revisions. Number four done. Monday and writing hump day combined took two cups of coffee. The prewriting prep is extremely helpful on mornings like today. What can I say….I am not a Monday morning gal! Have a smooth Monday. Finally completed work on #3 – just struggled with it. BUt then pulled out my folder and notebook from last year’s PiBoIdMo and actually found a couple of gems to work on the next few days. Great post! Thank you. Draft #4 is done and done. But it stinks. Phooey. But it is a story. I can work out all the wonderful possibilities later. Fantastic post, Amy. Uncluttered. YES. Thank you. Great pic, Paula. CATERINA AND THE BEST BEACH DAY sounds like a great picture book. Can’t wait to read it. I loved to read the different perspectives today! I will remember the “if yes, then’s”. So far, I have been super successful and have two other ideas that I will work on the next two days.. I think I can do this! Yay! Keep asking, if yes, then… 🙂 Good luck! “Team Show Don’t Tell” – love it. Got a great start on draft four this morning, then got perpetually interrupted, all day. Finally back to finish the final half of the draft. Four hours to go – I can do it! 😉 Looking forward to reading CATERINA AND THE BEST BEACH DAY. Thanks for the encouragement. I did it!. This is so fun, how did I not find this challenge last year? Happy to hear you were able to take the time to go to the concert, even if you did have to have a late night writing session. Day 4 sucked.I wrote a story that I didn’t feel like writing and that I thought was utter crap. I’m tired and I’m grumpy and I’m wondering what I’ve gotten myself into. Hugs! Are you less grumpy today? I admit I was stressed out Monday. It was a long day at work. Hang in there. Also – if you are still not happy, how about taking the rest of the week to revise whatever first book you wrote and make it shine? Sometimes it’s okay to have one or two polished books finished than 7 rough drafts. It depends on your writing process. Everyone has a different style. Just as long as you write every day, that’s ultimately what I’m promoting. Daily writing = good creative exercise. 🙂 xo P.
Hey Paula & folks, I’m still at it… but I fell a little behind (Sunday was super busy!). I had 2 PB’s to write today and squeezed in 1 pomodoro each in order to fast draft before midnight. Happy to say I met my goal–one is a conceptual piece and the other is creative nonfiction (historical fiction based on a famous figure). Both are very rough with supporting notes. BUT I’m pleased I got both of these down on paper. I can see and feel these characters already! It may be possible to put more “pomo time” during NaPiBoWriWee to finish one or both stories. The characters are waiting for me… ;)! Hope everyone is having fun writing their PB’s! Great advice – Since I’m not an artist I tend to over describe. I hope my characters come across as exciting and cool. Can’t wait to see the new Caterina book! I’m so proud you stayed offline! 🙂 Very disciplined. Glad Erin’s words helped you. Aggg I think I got lost over the weekend and I am one behind on manuscripts 🙁 . Today I am writing a story that is more visual than wordy. Thank you for the comments on illustration!